I like to say that humans are notoriously bad at predicting the future. I’m positive I learned this in one of the many psychology classes I took during my years at university. As an extension of this, it makes sense that we are also bad at predicting what we can and cannot do. I just did this. I thought I could code a WordPress theme in two weeks, even though I know very little about php, which is necessary to create the actual theme and even though I’m just getting a handle on the html and css. So why did I think I could do it? So it seems reasonable that I’d be able to create another, right? Here’s the problem. When I made my current theme, I didn’t really have a design beforehand. I found things using php that I could do (and understood) and then styled those afterward. The design came after I had figured out how to grab everything with php. 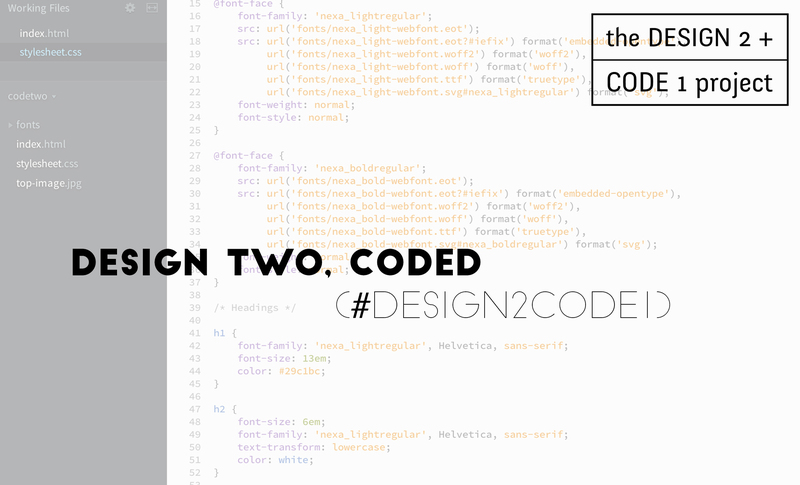 But with the design 2 + code 1 project, the designs came first. I wasn’t thinking about the types of information I knew how to get using php, and I definitely wasn’t thinking about the logistics of making my designs into real customizable themes. I spent an entire day with my fingers woven through my hair before deciding I needed to change my scope + parameters a bit. I’ll still be designing two themes in the first two weeks of the month. And I’ll still be coding one of the designs. However, instead of coding the design into a full on WordPress theme (with php), I will only be using html and css to create static pages. This is so exciting to me. This is something I can do + learn + get better at without getting stressed out and overwhelmed. Little steps at a time. Of course, I’ll still be sharing the things I learn along the way (because there will definitely still be learning).